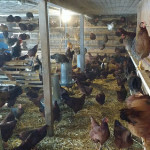 I stumbled across this article some months ago about organic chicken production in Delaware. 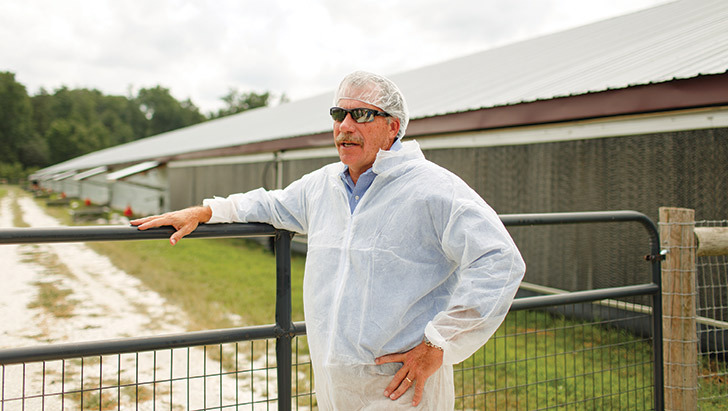 This article is the perfect illustration of the organic livestock industry. The reporting is inaccurate, the customers are confused and the big-ag companies are finding ways to exploit the organic market. Lets get the problems with the reporting out of the way first. Here’s the first photo from the story, complete with original caption. 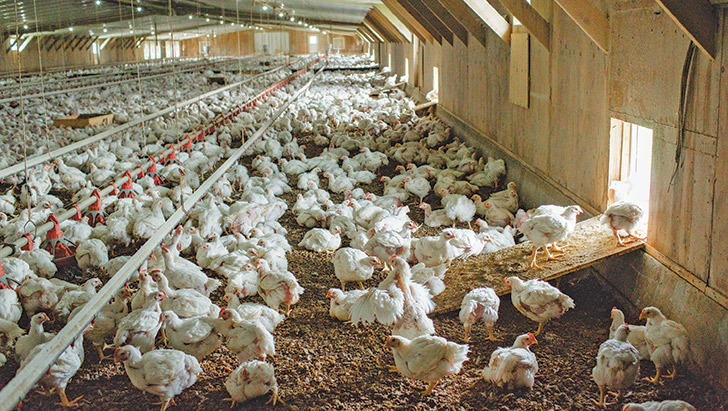 These are broiler chickens, chickens raised for meat. They have no roost bars (they’re too big to roost properly) and no boxes (they don’t lay eggs, so no need for boxes). While these inaccuracies may seem nitpicky, they do contribute to a false sense of “environmental enrichment” that belies the photo. Now if that first sentence has got you thinking of happy birds rollicking around on pasture, at least the photographer was kind enough to include a photo that will disabuse you of that notion. Look right over this nice fella’s hand. See those red blobs? Those are the outdoor water “troughs” they just talked about, situated cozily in the shade and shelter of an overhang. See the few little white blobs by his fingertips? Those are the chickens. All half-dozen of them. Suddenly the pastoral fantasy of chickens who get to “peck around in the organically planted grass.” seems a bit absurd in this context. Worse yet, I fear (though this is blurry-photo-based-speculation) that these chickens may have no actual access to grass at all. The platforms below each overhang suggest to me that we’re looking at an organic barn with “porch” style outdoor access, which allows chickens outdoors only onto a small “porch” area which is either floored completely in wood/metal/concrete or bare dirt. Sad to say, but this kind of spirit-of-the-law flouting is entirely common in most organic production. So with reporting like this, is it any wonder that consumers are confused, even the well-informed ones who care about their food? Pigs: How much suffering is neccessary? I think Michael Pollan made a similar point in The Omnivore’s Dilemma,but it bears repeating.The bigger an organic operation gets,more it’s just a feel good version of industrial agriculture and not the least bit good for the animals or the environment. Good reporting,Andrew.